KillEmAll is a ‘panic’ button with an ‘ask questions later’ attitude, designed to neutralize, terminate, and later identify all non-essential running programs. Great for quickly closing unwanted apps, system inspection, and even malware removal! KillEmAll is free for both personal and commercial usage. Specifically KillEmAll terminates every (currently running) program on your computer except essential Windows processes. The best usage case for KillEmAll to most users, is to close all open web browser windows if you get a suspected malicious popup while visiting a website. The the reason you don’t simply close or “X out” the popup is because malicious code can be run even if you click the X button — it is after all just another button, you might as well be clicking “OK“ or “Yes, please do what you want with my PC…“ but if you don’t click anything and KillEmAll does the work, forcing the application’s process to close without any additional code execution. Other more mundane tasks include the advantage of quickly closing all applications before performing maintenance on your PC, general troubleshooting, or playing resource intensive games. Obviously, any data used by the applications being closed, if not previously saved, will be lost! KillEmAll Mini is a no frills implementation of the fully featured KillEmAll which has no user interface, no update capabilities, no definitions file capabilities, it doesn’t show you what apps it terminated, etc.. Simply run the .exe and it terminates unnecessary programs running under any standard user account. If your Windows is configured with UAC enabled (default) then you can right-click and choose Run as Administrator to kill all other programs running under an Administrator/System account. 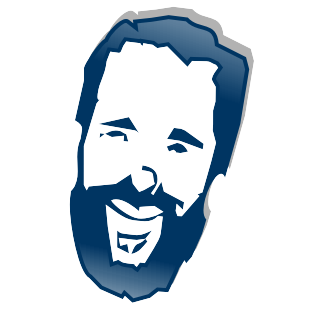 v19.4.15 – Now terminates processes roughly 5x faster! (Windows XP/2003 Only) When terminating a process, 1 MiB or more may be leaked from each of the target’s threads that are terminated. The NT kernel in 5.2 and below does not free the thread’s initial stack, causing the resource leak. We are not considering a fix due to the age of these operating systems and the very minor impact on the system. This version is exactly what you can expect to find as part of the d7x tech tool, however a few of the more powerful features available when examining target files (e.g. Delete Permanently, Prevent Program from Running, etc.) have been disabled since this is a product which may be used by non-technical home users. All free software on this website is distributed “as-is” with no warranty or guarantee of any kind; this includes product support as well as any compensation monetary or otherwise for any damages resulting from the use or misuse of this software. See the inserted EULA.txt or product Info.txt file within the product download for the full end user license agreement. We’re glad you wish to make a donation to our team, and even more so that whatever we’ve done for you was worth it! 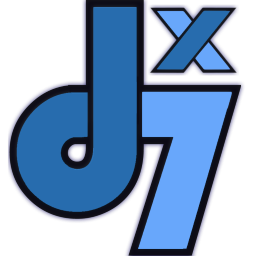 Thank you for supporting our team, from the entire crew at d7xTech, Inc!